We had heavy rain overnight so this morning we can see green fields again. The Brits talk about the weather all the time because it’s so changeable (snow, rain, sleet, rain, fog, rain, frost, rain….)! LOL! The snow has mostly cleared now thanks to heavy rain late last night (large puddles everywhere) so I will probably see ducks as well! I always enjoy looking at snow photos, mostly because we rarely see it here and when we do have inclement weather everything closes and we get to stay home in front of a cozy fire. What’s not to like? I think it would be great fun to follow the animal prints in the snow to see where they lead. Wow – you’d have some amazing trails from all the wonderful creatures in your garden! We don’t cope with snow very well over here as the infrastructure is just not set up to deal with it. We only usually get a week or so of snow so it’s not worth buying snow tyres and most of the roads don’t get ploughed. The main roads are clear but most people can’t get off the side roads…. I still love snow though! 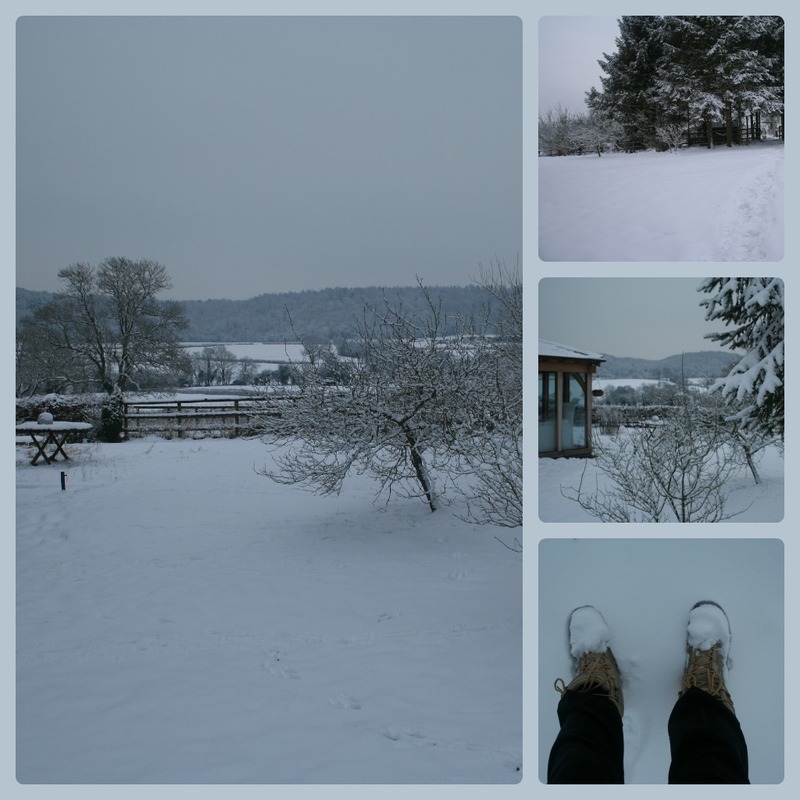 We’ve just had a tiny bit of snow and I’m hoping for more. 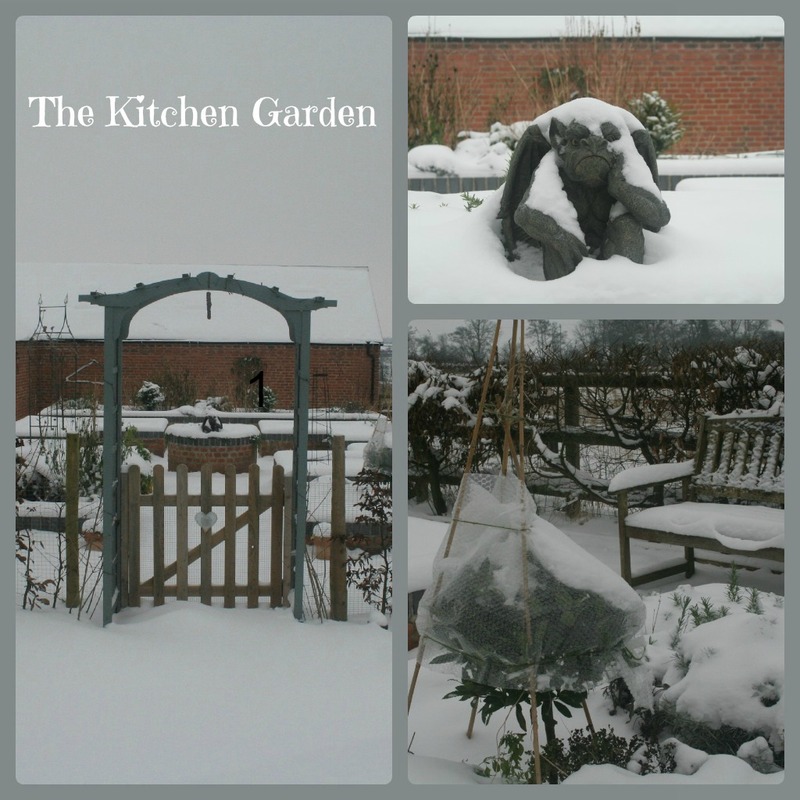 Your garden is beautiful, even in the snow. Love those kittens! Pawing through catalogues….how charming your posts are. It really is a blanket of white over there. Does it usually melt quickly? Your sweet Milo and Bella must be such a treat while you enjoy these winter days inside. Heavens they are cute with their big eyes and tiny noses…mwwwaaa! The kitties are adorable and it’s hard to imagine life without them now. The snow has almost gone so I’m glad I enjoyed it. It must be very different for you as you have the white stuff deeper and longer than most (so you’re allowed to grumble!). We usually only get snow over here for a week or so then it’s back to the rain. We’ve had two days at -3 with sun…went skating and for walks, almost manageable..tomorrow back to -23 C with some cold arctic thingy 😦 and then by Thursday +1 C….roller coater weather. 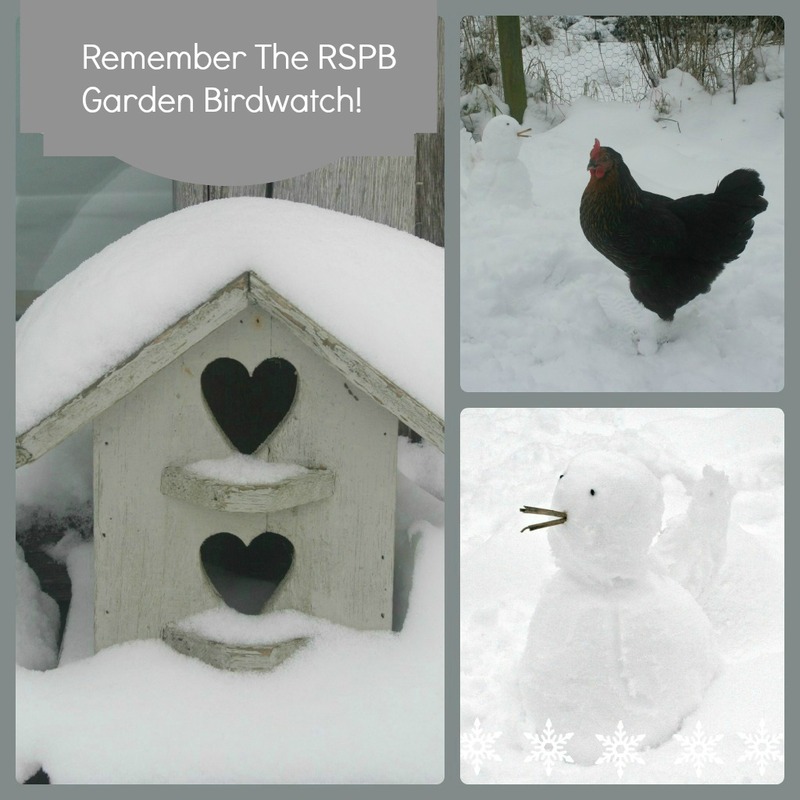 Good luck with your birdwatch – we’re going to be counting today too. What did the kttens think of the snow, did they venture out into it? There weren’t too many birds around… until we finished counting! 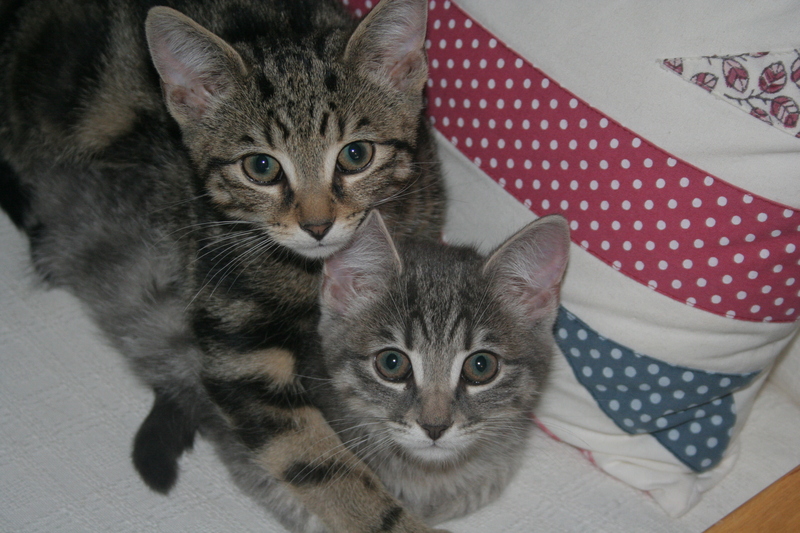 The kittens aren’t allowed out yet as they haven’t finished their course of vaccinations. I think the big, bad world in general will scare them! It looks so pretty doesn’t it, you have to enjoy it while its here. We had heavy rain last night and its all more or less gone now, which my cat, Bob is very happy about as he doesn’t like it at all. I’ve just had a splurge of seed buying from the Sarah Raven catalogue. The photos in there are so gorgeous and it just makes me so excited for spring and summer. It has been frigid here, with the highs only in the single digits Fahrenheit. We have an inch or two of snow on the ground here as well. 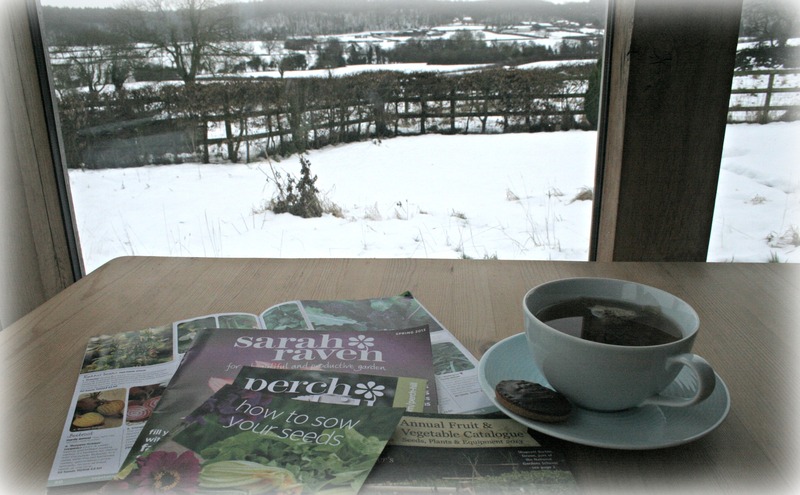 So for those of us across the pond, I’ll be joining you over a cuppa with my seed catalogs. Thankfully we don’t have anything remotely like bears… but the English Yeti is a sight to behold! Beautiful photos…and there’s nothing like looking out the window at snow while you are looking at garden catalogs and dreaming of the spring! With a cup of tea or cocoa of course!! Enjoy your catalogues and mind that yeti! I know exactly what you mean – we had the opportunity to look for evidence of rat prints (nice eh?) and were relieved to find no activity… although the little blighters could probably tunnel under the snow or even levitate to evade detection!! What an interesting idea, counting species. How did it go? Your home is charming and those kitties…over the top cute. I adore them and look forward to regular views in your posts. It didn’t go too well – the message got out that the humans were watching and they all seemed to go elsewhere for breakfast! Oh those crafty critters. You gave it a good try, and for that I applaud and thank you. Bella and Milo are adorable looking birdwatchers, although I think you are right, I that they their furry minds will not be on the conservation! I always enjoy looking for tracks in the snow and trying to guess which aninal made them Mostly they are rabbit and squirrel tracks. No Yeti…yet any way. 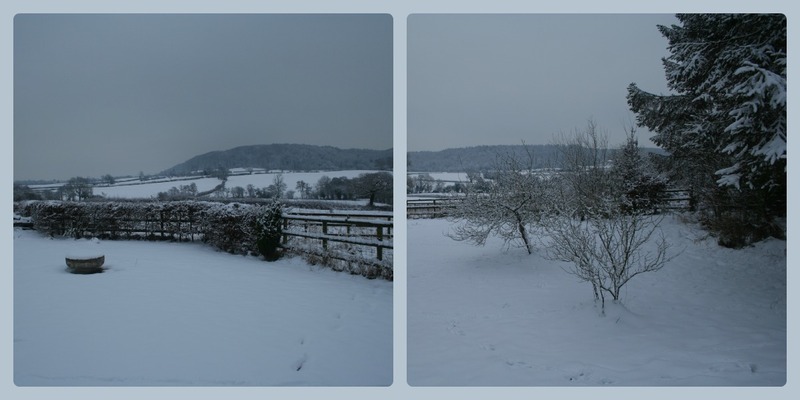 Our snow disappeared overnight now everywhere is really soggy. We did the Birdwatch and luckily there was still snow on the ground then which meant more birds in the garden, there have hardly been any today. The birds do their rounds but we fell unlucky and a lot of the birds we usually see were not about… even the pesky crows kept their distance! Your yard is Beautiful! I love the chicken snowbird! hahah! What bush/tree were you trying to protect with the bamboo poles and plastic? I was intrigued with that method of protection. I saw robins here yesterday (Monday). A sure sign that spring is coming! The plant in question is a standard bay tree. It will manage okay once well established but I only planted this in the Summer and I didn’t want the snow, frost and high winds to kill it off so I wrapped it in bubble wrap and pegged it down with bamboo canes. Not pretty but practical!